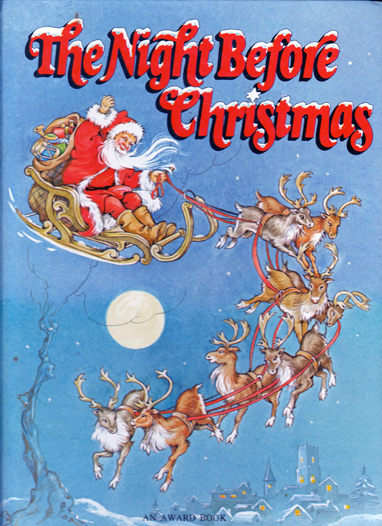 Description: The classic Christmas poem brought to life by long-time illustrator to Enid Blyton, Rene Cloke's, stunning, double-spread colour illustrations. Glazed pictorial boards. Negligible bumping to spine to corners and spine. Minor circular mark (5 mm in diameter) on rear; otherwise covers are in superb condition. Previous owner has discreetly written her name in black ballpoint at the foot of the title page. Pages are lightly creased from handling, but are in otherwise excellent, unmarked condition. Measures 30 cm × 22.5 cm (12″ × 9″). Oversize 4to. Unpaginated.